Are you looking for a way to raise more income in the short term and long term? Thank your donors quickly and often. Beyond a thank you note, how do you creatively thank your donors? Showing gratitude to your donors is a key way to build a healthy donor relationship and continue to develop people down the funnel to become multi-donors. Survey after survey show donors care about how you show gratitude after a donation. Thanking your donors is a key part of nonprofit fundraising – it’s not enough just to ask, you must also thank people for their gifts! A new and creative way to thank donors is to create a personalized thank you video. There are several platforms that help automate the process of thanking the donor via video, but the overall execution is pretty simple. After you receive a donation, you record a short video thanking the donor personally for the gift. The video should be similar to a normal thank you communication, you should show appreciate for the gift, personalize the message, explain the impact the donor made, and position the story from the point of view of the donor. The platforms allow you to quickly record and send a custom video per email address. A study highlighted by the Wall Street Journal demonstrated the impact of publicly acknowledging donors. In the study, donors were offered a chance to have their name appear in the next monthly newsletter from the nonprofit for a donation. Not only did donors give at a higher rate with this public recognition, but the average gift was also higher! Some donors crave the attention and want to be celebrated (not all do, so be sure to ask permission before publicly celebrating a donor). Think of creative ways to celebrate your donors, provide them recognition, and continue to build the relationship. Create a monthly virtual event for donors to attend and gain exclusive access to your organization’s President or Executive Director. This could be a teleconference of a live video session. People crave access to people of influence like the organization’s leader. 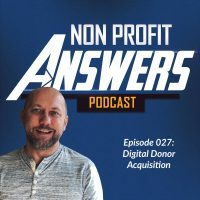 Providing a monthly chance for donors to connect with a leader will help build the lasting connection you want with the donor. We recommend a 30 minute – 1 hour long call with a planned agenda and time for questions. A moderator should help weed through questions. Creating this type of experience will really help supporters feel like they know your organization. Create a private Facebook or LinkedIn group for donors to gain exclusive access to your organization. Studies show that donors crave community. They want to feel connected to your cause and to likeminded people. Creating an environment where donors can connect with other people who share their same passions transfers some of the intimacy of the community into your relationship with the donor. This could be as simple as creating a secret Facebook Group where you invite specific donors to participate. Be sure you have content ready to start the conversation in the group so it doesn’t appear empty! Use a celebrity or influencer to say “thanks” to the donor. A celebrity or influencer could record a short video for you to send to donors, or appear on a live video to thank your supporters. For many donors, having a celebrity connected to your nonprofit provides trust. Today you have to be careful about who you select to be associated with and tacitly endorsed by your nonprofit, especially in an era where a celebrity could say the wrong thing on social media and have it blow up in your face.